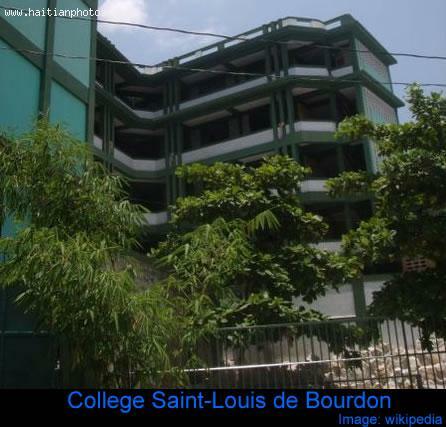 Collège Saint-Louis de Bourdon was founded by the congregation of Sisters of Charity of St. Louis in France by Marie Louise Elizabeth de Lamoignon on May 25, 1803. It is a private, Roman Catholic institution located in Bourdon, in Port-au-Prince. the school offers primary school, grades 13 (or k)-6, and secondary schools from grade 7-to Philosophy. The curriculum of the school originated in Roman Catholicism and a strong sense of civic duty. Students at Collège Saint-Louis de Bourdon are often involved in individual projects requiring presentation in front of an audience. The school also offers a variety of electives subjects such as sewing, cooking, baking, arts and crafts, creative writing, engineering and computer sciences.